Purchased a KYMCO AGILITY 50CC scooter from CENTRAL SCOOTERS for my sons 16th birthday and i am very pleased with the scooter. Its build is impressive and it looks great, and although not rode it that much to date it seems very reliable. 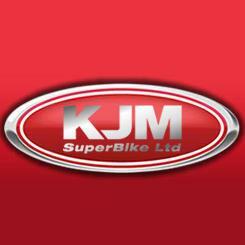 The service was fantastic from the first phone call to the delivery. Everyone was very informative and helpful.They made sure it was delivered in time and was in perfect condition. To sum up great scooter and great service and would buy from them again. Just to clarify (from Central Scooters). <br/>We clearly state that we use a National Carrier (TNT) and delivery can be anytime from 9-5 (unless we otherwise agree an alternative method of transport), the drivers are not employed by ourselves so we have no control over them. Again, with regards to the damage caused in transit, this would have been down to TNT however we would have rectified the problem immediately. <br/>As for the other issues you refer to, it would be good to know what mileage and servicing you have done as I am sure the cutting out would be down to valve clearances or carb settings which should all be done a regular service intervals. <br/>1. Mirrors do not just work loose, there is a nut that needs tightening 'with a spanner' once in the mirror is in the correct position. <br/>2. We understand that some mechanics will not touch Chinese imports, this is due to the fact they are not confident in being able to get the parts but we stock all parts. However this must be your responsibility to find a suitable garage before making the purchase, not ours. <br/>3. Top ends/engines do not usually fail unless worn, obviously on the odd occasion there can be the odd fault however in our experience of servicing these scooters engine failure generally occurs through misuse and failure to service/maintain the scooters. 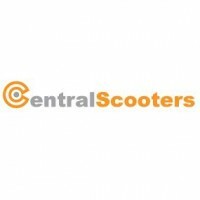 <br/>Its always best to contact Central Scooters with any issues as trading standards will generally tell you to do that anyway. Please contact us (Central Scooters) with your issues, we are happy to help. I would be pretty sure that the scooter needed its first service which a lot of riders think they don't need to do as its a new scooter but it is very important to do this - then they wonder why problems occur. <br/>Keep up with maintenance and servicing and you will get good use from your scooter. <br/>We advise on the phone at point of sale the delivery time - if you were not happy with this then the order should not have been placed. <br/>With regards you being the second owner, this is clearly explained on the terms and conditions on our website. The scooter will be registered to the company to enable us to obtain vehicle registration and tax. Ownership is then transferred over by way of V5/Log book. It is not our fault if terms and conditions are read. <br/>In respect of the damage on delivery, we use a National Carrier at times and can only apologise for the damage caused in transit however I am 100% sure we resolved this issue at minimal hassle to yourself. With regards to not starting, I would have to dispute this as all vehicles are PDi'd and running to the point they leave our premises. The warranty given on these scooters is fully reflected in the low price offered and is fully explained in the terms and conditions. <br/>We are always happy to help and sort any issues. 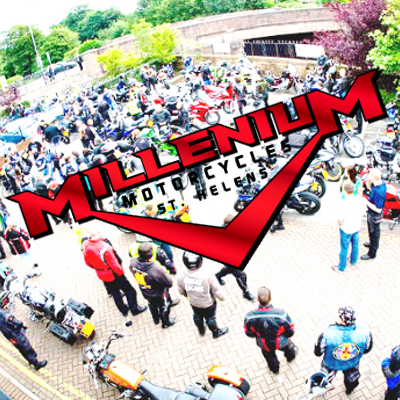 <br/>As for the 30 mph, the scooters are restricted by law for 16 yeard old riders, if a 50cc scooter is de-restricted you should legally notify the DVLA and your insurers as this will take it from the Moped classification. <br/>People are always quick to leave negative comments however these reviews do not show the many thousands of customers who we have dealt with over the years. Times are hard so I had to drop the car a buy a scooter, went up to Central Scooters showroom and they have a large range of scooters for all pockets along with a good range of clothing and accessories. Me being a skinflint went for the cheapest scooter possible being the BTM BT49QT-9 and I have to say I couldn't be more pleased. I very much doubt there was no reply from Central Scooters with regards to a part you were after, we do everything we can to help customers. In fact, I am 100% confident in saying that you would not get the service from other internet sellers than what you do from us. I ordered this bike on Friday the 25/06/10 and it arrived as requested on the 30/06/10. The Scooter came wrapped on a pallet and in a cardboard box and stuffed with loads of bubble wrap. The scooter itself was is pristine condition and was fully assembled, everything attached bar the wing mirrors which simply screwed on.